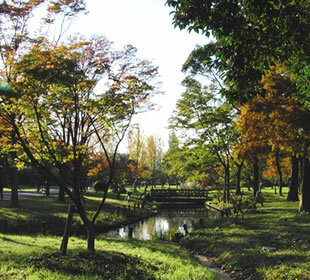 Mizumoto Koen 水元公園 or Mizumoto Park, is the largest park within 23 wards of Tokyo, operated by Tokyo metropolitan government. 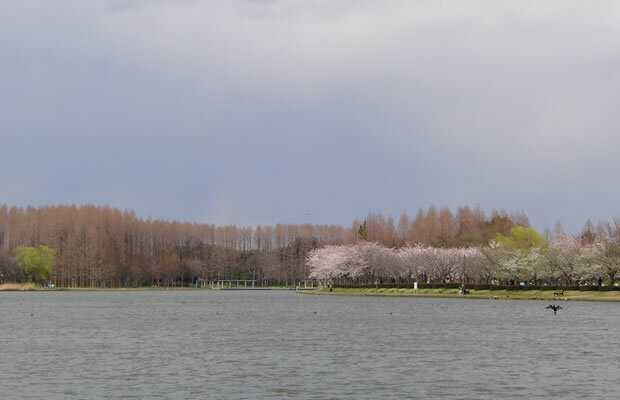 As Mizumoto Koen lies at the very end of northeastern Tokyo, the park might be familiar only to people living in a district around there, including me. 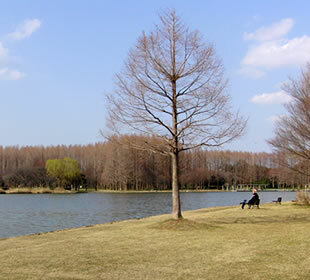 Mizumoto Koen opened in 1965, at the height of Japan's economic boom, the time people suffering from air pollution. When I was in primary school, the place we go on an annual school excursion was always Mizumoto Koen park, year after year. At that time, the park was still under development, where we saw an empty ground with young trees, looked extremely boring for kids. We used to complain and say “Not again”, but it was not long before it ended up cancelling of the school excursion itself due to school budget cuts. We finally missed Mizumoto Koen. 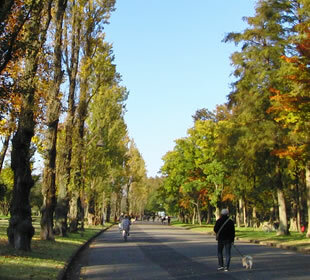 Since decades have passed, the Mizumoto Koen looks very different now. The young trees have grown enough to create a natural setting landscape, various kinds of birds are chirping and tweeting in the bird sanctuary provided there. 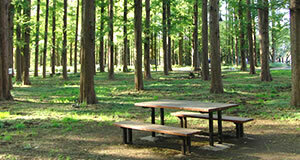 It is hard to believe the park is situated within 23 wards of Tokyo. Who said the park was boring? I learnt Rome was not built in a day, and so was a green environment. 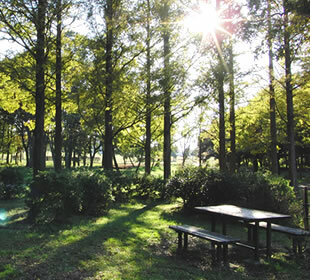 Poplar, Metasequoia, Bald cypress, and Sweetgum, the park include many foreign trees, and the landscape looks different from ordinary Japanese parks. Mizumoto Koen is popular as a Sakura viewing spot in Tokyo. Mizumoto Koen is located in Katsushika-ku ward within 23 wards of Tokyo. The closest station is Kanamachi Station on the JR Joban-sen Line and Chiyoda-sen Line (Tokyo Metro Subway) or Keisei Kanamachi Station on the Keisei-sen Line. From both Kanamachi Station to Mizumoto Koen, it takes about 20 to 25 minutes on foot. (Approx.2km). Bus services are also available from Kanamachi Station (金町駅). (Take a Keisei bus and get off at the bus stop "Mizumoto-koen (水元公園)". *A 5 to 10 min. ride) Since you need to walk at least 7 minutes (400m) from the bus stop to the park entrance, walking directly from Kanamachi station is recommendable. The best will be to go by bicycle if you have one. From Mizumoto Koen, it takes only 10 minutes by bicycle to Taishakuten Temple (帝釈天) in Shibamata (柴又), the town famous for “Otokowa Tsuraiyo”, a national movie for the Japanese. The sculptural decoration of Taishakuten shrine building is a must-see. From Mizumoto Koen to Shibamata is reachable on foot too ( approx. 50 mins). Another option is to take Keisei line from Kanamachi station to Keisei Shibamata station (1 station away).